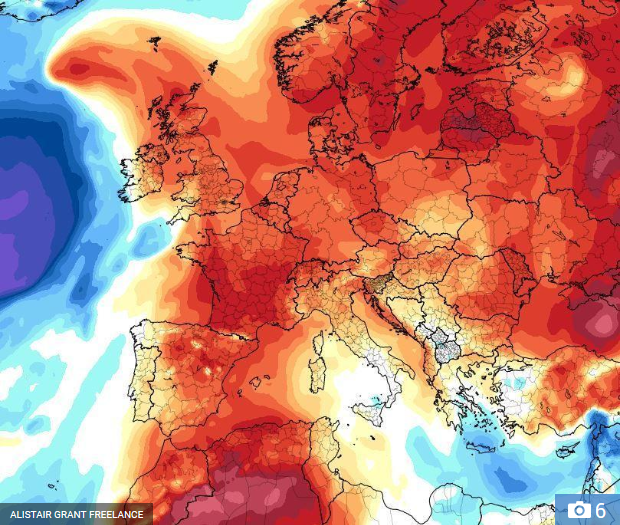 The Scottish ‘heatwave’ doesn’t seem to have caused any comparable problems. I don’t have any direct evidence to support this claim, but I do have the absence of evidence confirming, this time, the evidence of absence. If there had been so much as a sniff of a single Scottish pensioner suffering from heatstroke and then delayed for as much as five minutes, getting access to a ward, Jenni, Ruth and Willie would have been writing the headlines for the Scottish Nomedia*. Now whose ‘bad’ would that have been? The Met Office? No! Come on, it’s easy. Love Lenny and Wullie . You’ve missed jings and crivvens. We have our own system in Scotland. Taps aff when the sun comes out. Taps oan again when it’s roasting.